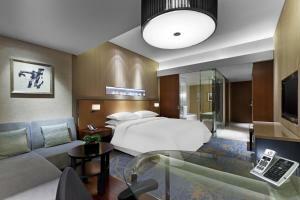 Sheraton Grand Beijing Dongcheng Hotel boasts a convenient location 100 metres from Beijing Global Trade Convention Centre. 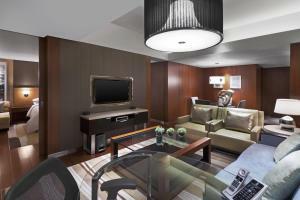 It boasts an indoor pool and well-equipped fitness centre. Free parking is provided. 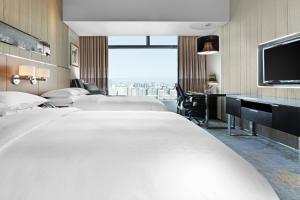 Sheraton Grand Beijing Dongcheng Hotel is 300 metres from Hepingqiao Metro Station and 5 km from Wangfujing Shopping Street. 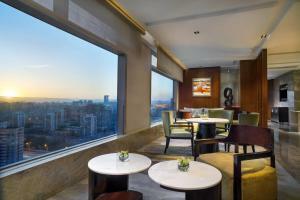 Houhai Gardens and Bar Street, and Sanlitun Commercial and Bar Street are 10 km away. Beijing Capital International Airport is a 45-minute car journey from the property. Spacious rooms are fitted with an iPod dock, tea/coffee-making facilities and a personal safe. Turndown service and voicemail are provided. 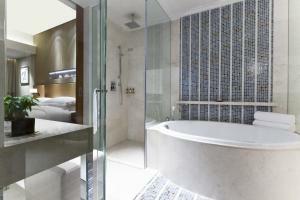 Marble bathrooms are fitted with a bathtub and separate shower. Guests can head for a relaxing massage or unwind with a sauna session. 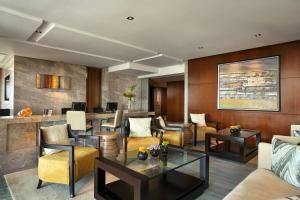 A business centre and concierge desk is available. 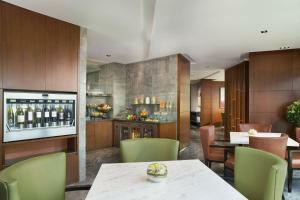 The hotel has a 24-hour front desk and express check-in/out services. 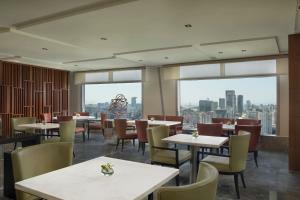 The hotel has 4 restaurants named Bene, Feast, Yue and Miyabi. Italian, international, Chinese and Japanese cuisine is served. Room service is also offered. Цена: CNY 800.00 ... CNY 2650.00; select dates below to get current rates. Цена: CNY 955.00 ... CNY 2530.00; select dates below to get current rates.